(CBS 8) - Newly unsealed court documents paint a disturbing picture of John Gardner as a young adult. A 2000 probation report includes new details about Gardner's attack on a 13-year-old girl and a chilling warning by a court psychiatrist. Accused killer John Gardner and his public defenders did not want the court documents made public, but the judge ordered them unsealed anyway following a motion by the media. The explosive probation report goes into graphic detail about Gardner's sexual attack on a 13-year-old girl in Rancho Bernardo in 2000. The then 20-year-old Gardner picked up the girl from a school bus stop and drove her to his house. The report says, "The defendant lay atop the victim and began rubbing against her... touching her vaginal area with his hand, and putting his mouth on her breasts..."
"...he began punching her repeatedly in the face and head area..."
"The defendant then covered the victim's mouth. She could not breathe and said she thought she would die." 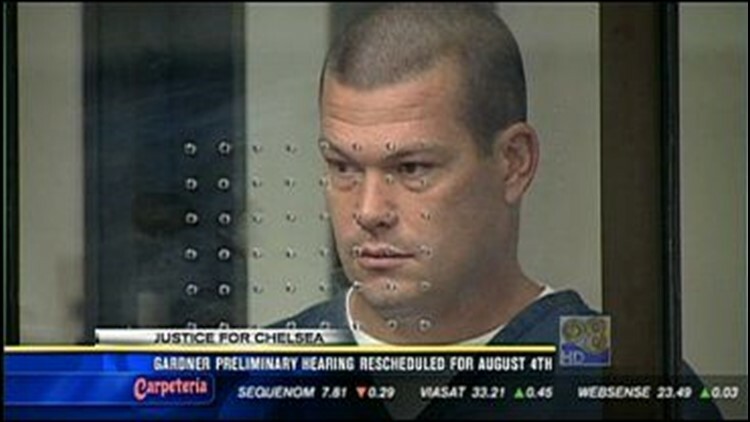 After Gardner's arrest, the victim was so traumatized that her parents had to move her to San Francisco. Even after pleading guilty, Gardner told a probation officer, the victim's injuries were caused by her own mother beating her. "The defendant's cool denial of culpability is cause for the gravest concern," the report says. "There does not appear to be any rhyme or reason for what the defendant did in this case... the answers can only come from the defendant and it does not appear likely that he will offering an explanation... any time soon." The report ends with a psychological evaluation, saying Gardner was a hyperactive boy and later diagnosed as bipolar. He took numerous medications as a boy, including lithium. A court-appointed psychiatrist concludes, "The defendant does not suffer from a psychotic disorder. He is simply a bad guy who is inordinately interested in young girls. He manifests significant predatory traits and is a danger to the community." Under John Gardner's plea bargain, he was only facing a maximum of eight years in prison. Because Gardner had no criminal history, the judge followed the probation department's recommendation and sentenced him to six years.